Not everyone is a marketer. Even fewer people are email marketers. This was the dilemma facing Selltis, an industry-leading Customer Relationship Management (or CRM) software company. Selltis recognized that email marketing could be a great addition to any salesman’s arsenal of tools, if it could be made simple, easy and intuitive enough to be integrated into existing sales tools. Combining email marketing with the sales process would also get them one step closer to their philosophy of “Closed Loop” sales, one of the key tenets of which is minimizing the space between the marketing and sales teams as much as possible. The last component they needed to close the loop was targeted email communications and measurement. Enterprise-class email service providers first offered their users a method to connect the ESP to their internal systems and data stores some years ago. By building APIs (application programming interfaces), developers can incorporate targeted email marketing capabilities directly and seamlessly into their own internal enterprise applications. APIs like MarketTraq’s M-CONNECT API allow marketers to do things like set up fully automated email messages that are deployed to groups, or to unique individuals when certain behaviors, actions, or triggers, are observed (programmatically) either on a website or from inside another application (CRM, ERP, accounting system, etc) . With this capability, organizations have the tools necessary to build their own custom applications, which seamlessly leverage all the technologies and capabilities that increase the effectiveness of the email communications they trigger. There is a virtually endless variety of applications that can be made more valuable within the enterprise by integrating personalized, and customized communications at the moment a system recognizes an event worth talking to the customer about, or in response to. These events can be anything from “you had a large deposit in your account” to “your car door has been opened” and beyond. Selltis had been in the business of software long enough to know that the more training a product needed, the lower its adoption rates would be. Every new feature and tool had to carefully balance usability with usefulness. 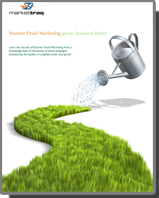 At the same time, they knew that their clients were already using email marketing software outside of their CRM. If they could bring that functionality into one place with no additional learning curve, it would make Selltis incredibly powerful and a great addition to any sales team’s repertoire. Many of their clients were using an external email service provider, for example, to send out invitations to “lunch and learn” webinars. The marketing team would create emails, send them out, wait for responses, then manually enter those responses into the CRM. Sales would find out later, if at all. It was inefficient: responses would get lost or forgotten, email creative would lack cohesion with other sales materials, and tracking effectiveness of the email drops was difficult across multiple platforms. Using the MarketTraq M-Connect™ API, Selltis began the process of integrating email marketing into the Selltis Sales Suite. According to Paul Jung, Manager of Professional Services at Selltis, the integration process was relatively simple. Since the API works behind the scenes, the email capability was able to be integrated directly into the Selltis user interface. Everything from putting together contact lists, to designing the creative, to measuring the response, is now handled through the same software that Selltis customers are already familiar with. This unity of user interface allows customers to begin using the new features without needing to learn a new piece of software, and is critical to boosting adoption rates and maximizing the return that clients see from Selltis software. It also means clients moving from a standalone ESP to an integrated solution don’t feel like they’re hopping from one piece of software to a completely different one; instead, they’re trading two programs for one that does everything they need. The integration also allows for a new wealth of data to be delivered straight to the sales team. Since building off of feedback data is such a crucial component of “Closed Loop” sales, being able to instantly see and react to email send data added another important data stream to Selltis’s dashboard. Rather than having marketing send emails, report on the results, and then attempt to merge the data with other information inside the CRM, the integration of MarketTraq email tracking and analytics into Selltis made the process simple and transparent. A salesperson could now collect the data they needed to make the sale without the delays and errors associated with manual exports and imports of email performance data. The M-Connect™ API has allowed Selltis to offer an incredible value-add to their software clients, without noticeably increasing the complexity or internal complexity of their software. At the same time, they’ve shored up their platform against competition by creating an all-in-one solution that doesn’t require customers to seek additional functionality offered by potential competitors. This ability to integrate and customize has always been a strength of the M-Connect™ API, and as the use of professional web applications grows, the potential applications for integrated email will too. Application developers of all types are encouraged and welcomed by the Partner Integration Team at MarketTraq Software.